We are Australia’s largest supplier of flash paper and flash products for magicians, entertainers and theatrical productions. We welcome you to read this informative web page which is designed to help you understand what flash paper and products are made from and how to use them. What is flash paper and flash products made from? Nitrocellulose (also: cellulose nitrate, flash paper) is a highly flammable compound formed by nitrating cellulose through exposure to nitric acid or another powerful nitrating agent. How do I look after my flash paper? Always keep your flash paper or flash products in a dry cool place, away from direct sunlight, powerpoints and chemicals. Make sure the container you keep it in is well ventilated. How old do I have to be to use flash paper? Flash paper is not sold to minors. It is preferred that the person using the flash product is 18 years and over. How much flash paper do I use? It is depending on the effect or the magic presented. Just cut a standard sheet of flash paper into eight squares. Every flash product has a different purpose. 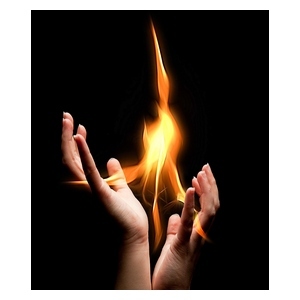 Always extend your arms from your body when holding the flash paper and ignite it with a match, lighter or candle. Remember not to throw the paper in the air or over your head or other people’s heads. The flash paper or flash product will naturally vanish instantly in a ball of light when lit. Want to learn fantastic tricks with flash paper? What tricks can I perform with flash paper? If you know a magician with many years experience then make sure you ask for some private tuition. WARNING : Flash paper or associated flash products should not be used by anyone under the age of 18 years. THEMAGICSHOP.COM.AU is not responsible for the misuse and mishandling of flash products. All flash paper is shipped in tight seal lock bag in a very wet state and must be dried out thoroughly prior to use.